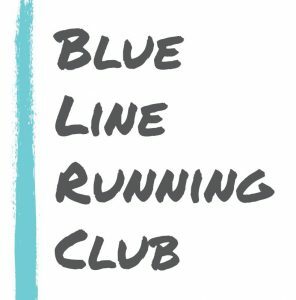 The Blue Line Running Club is a group of runners (21 and up) who are focused on the social aspects of running in the Greater Flint area. Club Captains will choose routes of varying distances, and you can select which one feels best for you. This group is designed for runners who have some experience and are comfortable with running by themselves for extended periods of time. This group is NOT ideal for someone looking for hands-on guidance and training advice. The Blue Line Running Club strives to cultivate a social, laid back atmosphere. Visitors, dogs, and listening to music are all welcome during group runs. After each group run, club members get special deals and discounts on food and drink at any of the partner restaurants and bars, which currently include Blackstone's, Soggy Bottom Bar, and Tenacity Brewing! Starting in May, the club will meet weekly on Wednesday evenings. They will start and finish at partner restaurants/bars, where they can enjoy special deals and discounts after the run. This first session will go through August. Can I still run with the group if I don't register? Yes! Guests are welcome at any time. The club is meant to be a super casual gathering where the runners of Flint can meet other runners and make new friends!